Look through Snips scrapbook and meet some of Snips friends. 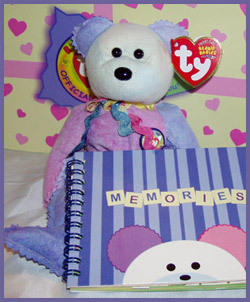 Snips also shares some tips on how to create your own special scrapbook of friends! Collect all the photos you want to add to your scrapbook and place them in the order they were taken. Crop your pictures to fit on your page, arrange them on the page to see how it will look before you glue them down! You can print pictures from your computer to add special touches to each page. Don't forget to leave enough room to write down information about each picture. Try and always put the date the picture was taken and the names of those in the photo. The more you tell about the picture the more people will remember about that event! Most important! Have fun! 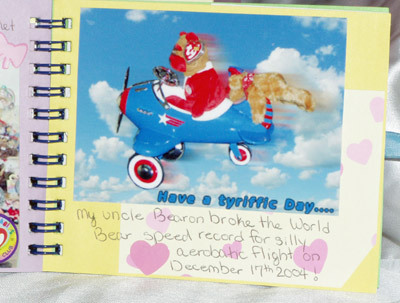 Snips 2004 Scrapbook of favorite Memories! Click any page for a larger view!